As we move ahead, things are getting more and more clarified. 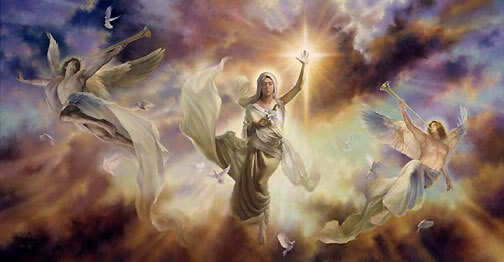 Those who are open and receptive to the new energies that are now showing up on planet earth, receive it the most. These energies always existed by now since the opening of many souls or the unwinding of the life purpose of many souls, these energies are now becoming more evident to the physical senses also. 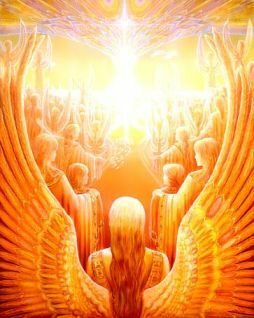 These divine energies are loving and bright energies that may be termed as angels, guides, ascended masters, beings of light, divine souls, etc. Though they are having their own purposes and network and systems of their own, they are less willing for any publicity because of the complete absence of negativity that humans carry like ego, pride, etc. They are here to assist mankind move to the next level of evolution and thy are very selfless in what they do. Many energies are in direct contact with humans too, who they chose to be channels. Through these chosen human beings, they convey messages to the earthlings as they do need mediums who can speak the human language that still appears to be the only understood language. A few years back these energies were mostly marked as mystical or sometimes every spooky or sometimes superstition and lot other words invented by man. However, with the passage of time, things are becoming more clear. More and more people are getting tuned to these energies and understanding why there are connecting. It usually begins with a need to disconnect with the world and connect with the self. It usually becomes nice when the world and it's glory seem to fade for some individuals. It usually becomes evident when life doesn't seem to go the way it used to. All of a sudden there are questions springing up in the mind about where one is heading and what is the purpose of life. As one tries to ponder over this, it could be in extreme conditions, it could be with a life-challenging situation, or it could just have something to do with low moods, things start happening then. This is because when one faces such situations the external glitter suddenly loses hold and the moment this happens the connection external gets dimmer and thus the inner connection starts brightening. Thus experiences begin. All of a sudden many have noticed sudden changes in their livestyle and some even have taken a complete U turn. It's like they discovered suddenly mass of wealth hidden within their innerself. Wealth of utmost peace and meaning. The moment this shift happens, the loving energies who have been waiting for lifetimes activate and are glad to come in contact with only one selfless purpose - assistance. Then the journey entirely begins and continues according to how one is able to tune with them, obviously beginning with a lot of doubts and experimentation. Whatever the situation these divine beings never interfere with the freewill and the humans still hold this precious right for themselves. It is only if one CHOOSES that they assist. So what is it that you choose? For whatever you choose you shall have it. If the external glory and temporary satisfaction of being in the human body and enjoying its glory gives happiness so shall it be done. But if the choice is to turn within and begin the journey towards infinite happiness and permanent contentment, then that shall also be done. The wonderful beings of light await to link up with you. Stay blessed! Love it absolutely..each & every word in it! Namashivaye, Love all your articles and thank you for helping us souls reach higher levels. Am a Shivyogi and would like to know what are we supposed to be doing on 21-12-2012? Babaji has spoken of meditation and prayer, do you have any other hints? Keep up the good, divine work. You are an Angel! yan.. absolutely nothing to do on that day but a lot to do before that ... that is now.. sadhana... sadhana.. sadhana.. rest will happen automatically on that day.. namah shivaya!